NEW YORK — President-elect Donald Trump appointed his influential son-in-law Jared Kushner as a White House senior adviser Monday, putting the young real estate executive in position to exert broad sway over both domestic and foreign policy, particularly Middle East issues and trade negotiations. Ivanka Trump, who also played a significant role advising her father during the presidential campaign, will not be taking a formal White House position. Transition officials said the mother of three young children wanted to focus on moving her family from New York to Washington, though a person with knowledge of the decision said her business, a clothing line and lifestyle brand, was complicating her move into government. Kushner’s own eligibility for the White House could be challenged, given a 1967 law meant to bar government officials from hiring relatives. 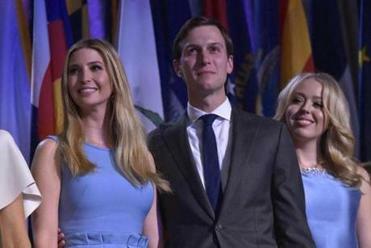 Kushner lawyer Jamie Gorelick argued Monday that the law does not apply to the West Wing. She cited a later congressional measure to allow the president ‘‘unfettered’’ and ‘‘sweeping’’ authority in hiring staff. Ivanka Trump’s husband runs Kushner Companies, the umbrella corporation that oversees the family’s many real estate holdings. Kushner will resign as CEO of his family’s real estate company and as publisher of the New York Observer. He will also divest ‘‘substantial assets,’’ Gorelick said. The lawyer said Kushner would not be taking a salary. Ivanka Trump will also be leaving her executive roles at the Trump Organization — her father’s real estate company — and her own fashion brands. 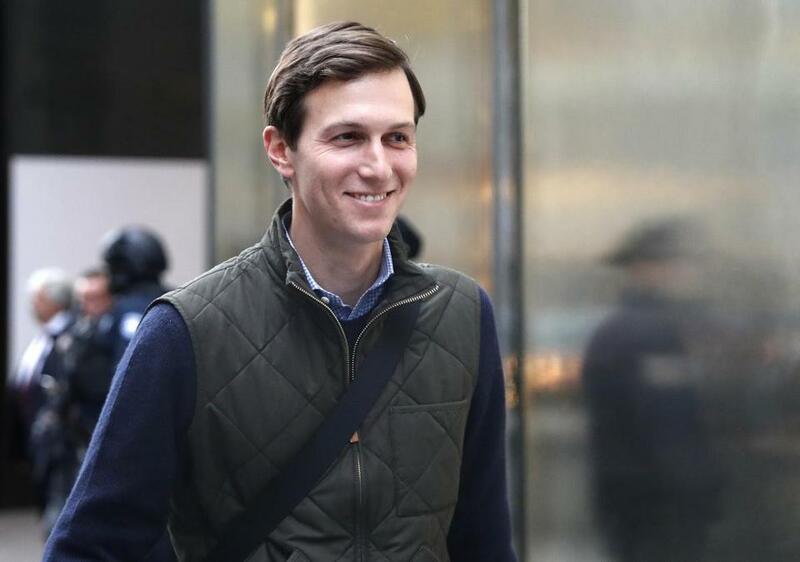 Kushner, who turns 36 on Tuesday, emerged as one of Trump’s most powerful campaign advisers during his father-in-law’s often unorthodox presidential bid — a calming presence in an otherwise chaotic campaign. Soft-spoken and press-shy, he was deeply involved in the campaign’s digital efforts and was usually at Trump’s side during the election’s closing weeks. Last week, Kushner and Bannon — the controversial conservative media executive — met with British Foreign Minister Boris Johnson. Kushner is also weighing in on domestic policy. He joined other Trump advisers Monday night for a meeting with House Speaker Paul Ryan, R-Wis., on tax reform. He championed the pick of his friend Gary Cohn, the president of Goldman Sachs, for a top White House economic post, and Cohn’s influence within Trump’s team is said to be growing. Norman Eisen, who served as President Barack Obama’s government ethics lawyer, said there is a ‘‘murky legal landscape’’ regarding the anti-nepotism law. But he said Kushner appeared to be taking the proper steps regarding the ethics and disclosure requirements for federal employees. Kushner’s place in Trump’s orbit — vital but often discreet — was vividly on display last month, when the president-elect toured the Carrier plant in Indiana to tout the jobs he says he saved.